Over the last 12 years, the Bulgarian pension system has been gradually reformed. The first step was taken in 1995, when voluntary private pensions were introduced. From 2000 onwards, parametric reforms in the first pillar were implemented; the same year, a mandatory second pillar system for workers in hazardous occupations was implemented. It was followed in 2002 by a mandatory second pillar for all employees. In 2006, Bulgaria decided to establish a reserve fund to support the financial stability of the first pillar system, which has not yet started operating and will be financed by proceeds from privatisation and 50% of any general budget surplus. On January 1, 2007, a fourth pension pillar started operating that comprises voluntary occupational pensions and is similar to those in Western countries. In brief, the system now in place is a four-pillar system with a public pillar as well as mandatory, voluntary private and voluntary occupational pensions. In coming years, demographic change stands to become a major challenge for Bulgaria. Between now and 2050, the country's population will drop from 7.7 to 5.1 million, and it is ageing rapidly. While the current dependency ratio stands at 24.2%, by 2050 it will have skyrocketed to 53.1%, higher than the 52% average that has been forecasted for the EU-25. Still, according to the convergence programme Bulgaria submitted to the European Union, public pension expenditure is expected to decrease from 9.1% of GDP today to 7.9% in 2050. In contrast, the EU-25 average will increase from 10.6% of GDP to 12.8% over the same period. Pension assets in 2006 amounted to EUR 523 million in the second pillar and EUR 253 million in the third pillar. Until 2015, we expect an annual growth rate of around 24% for second pillar and 20% for third pillar pension assets. The pre-reform system in Bulgaria was a pure PAYG system, the design of which suffered from various problems. The retirement age of 55 for women and 60 for men was quite low. Employees in various occupations could retire even earlier, and early retirement was used as a means of cutting the workforce during the transition period. Evading social security contributions was a widespread practise, and the dramatic rise in unemployment led to a fall in the number of contributors. The link between contributions and benefits was weak, as pension benefits were based on the three best-earning years. To remedy the situation, the government developed a reform strategy that was implemented in 2000. Key measures included lowering the overall contribution rate and gradually increasing employee contributions. The government also decided to gradually raise retirement age – to 60 for women within a 10-year period, and to 63 for men within a six-year period. In addition, early retirement provisions for special groups are set to be phased out by 2010, and the benefit formula has been changed to establish a stronger link between contributions and benefits. The current contribution rate is 8.05% of gross income for employees, and employers contribute 14.95%. Benefits are adjusted annually at a rate between the previous year's inflation and average real wage growth. To qualify for a state pension, the sum of the person's age and the number of years of participation in the pension scheme must be at least 100 for men and 91 for women (increasing to 94 by 2010). If length-of-service requirements are not met, the retirement age is 65 for both men and women with 15 years of contributory service. In Bulgaria, there is a social and a minimum pension. The social pension is available to people aged 70 and over whose annual income per family member was less than the national guaranteed minimum income for the 12 months preceding retirement. The minimum pension is 115% of the social pension; the minimum pension is paid to individuals with low income and/or an incomplete work history. The maximum benefit from the earnings-related pillar is four times the amount of the social pension. There are two types of pension schemes in Bulgaria's second pillar: occupational and universal pension funds. Occupational pension funds (OPFs) are targeted to employees working in hazardous environments and are meant to make early retirement possible. They are fully-funded, defined contribution schemes with individual accounts. Contributions to occupational pension funds are made exclusively by employers and depend on the employee's job category. Additional voluntary contributions are not allowed. Contributions and investment income are exempt from taxes levied under the Personal Income Tax Act and the Corporate Income Tax Act. Universal pension funds (UPFs) cover employees (regardless of their job category) and the self-employed. Participation is compulsory for all workers born after December 31, 1959; older workers are excluded from the system. Universal pension funds are fully-funded defined contribution schemes with individual accounts. 5% of participants' social security contributions are redirected to the funded pillar, members choose their provider. Contributions to UPFs amount to 5% of salary; the upper earnings limit for contribution purposes is BGL 1,400 (EUR 719). The self-employed must pay the entire 5% contribution themselves. Additional voluntary contributions are not permitted. The requirement that at least 50% of fund assets must be invested in securities issued or guaranteed by the government was lifted in 2006. There is also a limit for international investments. Pension funds can invest a maximum of 15% of assets abroad. Currently, the association of Bulgarian pension management companies BASPC calls for a lifting of the cap on investment in equities from 20% to 30%. But the Financial Supervision Commission would only consider lifting the limits on third pillar voluntary funds. Another request demands the introduction of funds reflecting different risk and return profiles by offering high-risk, balanced and conservative funds with varying equity exposures. Pension insurance companies are obliged to achieve a minimum rate of return when managing fund assets, which is determined by the Financial Supervision Commission at the end of each quarter. The minimum rate of return is stated separately as a percentage of universal and occupational pension funds, and is based on the return achieved for all funds of the same type in the previous two years. The minimum rate of return for each type of pension fund is 60% of the average rate of return achieved, or three percentage points lower than the average, depending on which of the two figures is lower. If a mandatory fund achieves a rate of return that is lower than the minimum, the pension insurance company managing the fund is obliged to cover the difference within ten days using reserves that have been established specifically for this purpose. Where the rate of return achieved by a universal or occupational pension fund exceeds the average rate of return by more than 40% or exceeds the average by three percentage points – whichever of the two figures is higher – the fund must transfer the additional resources to its reserves. Benefits are paid as a life-long pension and are based on the capital accumulated in the individual account and on life expectancy. Annuities are paid by the pension fund. 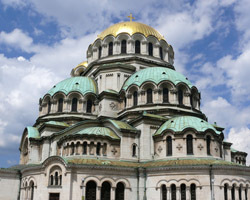 Essentially, Bulgaria runs an EEE system in which contributions to UPFs (and to occupational funds), investment income and benefits are exempt from taxes. Voluntary private pension funds (VPFs) were introduced in the mid-1990s. They marked the first step of a comprehensive pension reform program that aimed to increase private pension savings. Voluntary personal schemes are fully-funded defined contribution schemes with individual accounts. Participation currently stands at 557,000 and assets under management amount to EUR 253 million. There are now nine pension funds on the market and the largest two companies have a combined market share of 75%. The pension fund managing company and the fund it manages are separate legal entities. Participation is open to all citizens over 16. Contribution levels are freely determined in a contract between the pension fund managing company and the contributor (an individual or an employer). The average monthly contribution is BGN 47 (EUR 24), and participants do not have a choice of portfolios. Information on the value of personal pension accounts is published every day. The pension fund pays out benefits either in the form of a lump sum, phased withdrawals or periodic payments. Member contributions of up to 10% of pensionable income are exempt from personal income tax. The same applies to employer contributions and investment income. Benefits used to be taxed, but from January 2007 onwards they are also exempt within certain limits. Clearly, Bulgaria runs an EEE system in the voluntary pillar as well. While investment regulations for voluntary pension funds resemble those of their mandatory counterparts, they are slightly more generous. The maximum limit for investment property is 10% rather than 5% and the limit on international investments is 20% rather than 15%. The minimum limit for government securities of 30% was lifted in 2006. Actual asset allocation is as follows: Government securities make up 39% of asset allocation, bank deposits account for 23%, shares and corporate bonds for 13% and mortgage bonds for 8%. The latest development in the Bulgarian pension system is the introduction of voluntary occupational schemes, which are set to start operating in 2007. They are very similar to occupational schemes in Western Europe, and coverage is determined by collective bargaining agreements or collective employment contracts. Voluntary schemes provide benefits in the form of fixed-term pensions, lump-sum payments or phased withdrawals to participants when they reach the age of 60, in accordance with the rules stipulated in collective bargaining agreements or collective employment contracts. Voluntary occupational schemes are managed by pension fund managing companies. Benefits are taxed in the same way as under voluntary personal pensions; the same is true for investment and all other regulations. However, until mid 2007 there were still no voluntary occupational schemes in operation. UPFs show impressive growth rates. Introduced in 2002, they covered almost 82% of the workforce, or 2.4 million participants, by the end of 2006. Assets in 2006 stood at EUR 523 million, and the contribution rate was raised to 5% of gross salary in January 2007. Fast asset development stems mainly from contributions rather than performance, as the market is still in its infancy. Given the already high participation rate, further growth will mainly come from wage increases. Membership will develop at a slower pace and will largely depend on new labour market entrants. Participation in OPFs is low because of their narrow focus on people in hazardous occupations. In 2006, there were 192,800 members in occupational pension funds, and assets under management amounted to EUR 161 million. Growth prospects are limited due to the small group of targeted workers. Given that wages are expected to increase substantially and participation is developing slowly, the future of these two mandatory systems looks promising. With a conservative assumption of 5% average performance, assets under management are expected to reach EUR 3.6 billion by 2015. Third-pillar VPFs had 566,000 members in 2006 and EUR 253 million in assets under management. As income levels increase, it is likely that more people will join, though we assume that new participants will mainly be in the prime of their working lives. Increasing participation rates and higher wage hikes will support growth in the third pillar pension market. In our projection, assets under management will reach EUR 1.27 billion by 2015 (+20 % p.a). Given the existence of the mandatory system, chances for even faster market growth are very limited. accepted mandatory second pillar, an underdeveloped voluntary third pillar and a brand new fourth pillar. The introduction of the fourth pillar with voluntary occupational pensions is a very interesting experiment, as it could become a valuable instrument for employee retention, not least for multinational companies with operations in Bulgaria. Discussions are ongoing in Bulgaria with regard to further funded pillar reforms. Topics include relaxing investment restrictions, introducing individual investment choice in mandatory and voluntary pensions and the financing of the reserve fund. Bulgaria is likely to remain a fast-growing market for asset managers; it will become even more attractive as income levels increase.